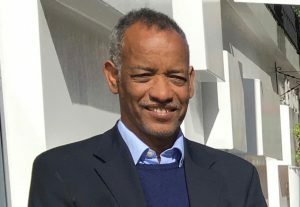 During 2018, there was a great improvement in relations between Eritrea and Ethiopia following initiatives taken by Ethiopia’s new Prime Minister, Dr Abiy Ahmed, which included acceptance of the United Nations ruling on the disputed border between the two countries. David Turner (Director of Church in Chains) recently interviewed Dr Berhane Asmelash (Director of Release Eritrea) about whether there has been change within Eritrea. What is the current situation for Christians in Eritrea? In the past six months, reports of arrests of Christians have been rare and it is noticeable how sometimes now Christians are released soon after being arrested. In December, 34 Christians were arrested at a prayer meeting that was raided by security forces. But when the security forces took them to the police, they were released straight away. They were not detained but instead they were released. On Wednesday 9 January, sixteen Christians were arrested at a meeting in a district in the capital, Asmara. Five of them were mothers with children and they were released after two or three days. But eleven are still in prison. Churches [that are not permitted by law] are still underground because they know they could be arrested, but they are bolder now than before. They don’t seem to care any more. People in Eritrean society are now more openly criticising the government and complaining. I think it looks like President Isaias Aferwerki is losing his supporters. The president was partly loved by the people because he was the one who led us to independence and they expected him to lead a transition to democracy. But he was always delaying it by saying: “Now we have been invaded by Ethiopia, we have to solve first the problem we have with Ethiopia.” Now that the problem with Ethiopia is solved, he has nothing to say. He never stated any clear policy or direction, so people were not happy. We are hoping that slowly things will change. We don’t see any policy change from the government, nothing official. However, one big change is that now the border [with Ethiopia] is open most of the time and people can just cross into Ethiopia. Previously there was a no-man’s land in between the two sides at the border, a military zone. It was a war front. About more than 100,00 soldiers on the Ethiopian side and the same amount on the Eritrean side. It was very tight. But now all the army has been withdrawn on both sides. When you cross, you don’t see people with guns. At the check-points there are some police or army, but people usually avoid the check-points. Have any long-term Christian prisoners been released? Yes – in January, five people were released from prison in Assab. One of them was in prison for fourteen years; the other four for over ten years [without trial]. We don’t know the reason for their release. Currently, we know about 245 Christian prisoners by name in Eritrea but there could be more. The problem is that every army division has their own prison. Sometimes people get arrested and they stay in their division’s office or prison. Sometimes we don’t hear about them. So most of the 245 would have been in prison for at least two years [some have been in prison for over fourteen years]. Now the number of Christian prisoners is coming down. Now we hear about people who are arrested and are sent home the same day with a warning. Previously in 2005, 2006, 2007 and 2008 we had more than 2,000 prisoners. One of the best-known long-term prisoners is Twen. She has changed a bit and looks much older than in the picture on your website. 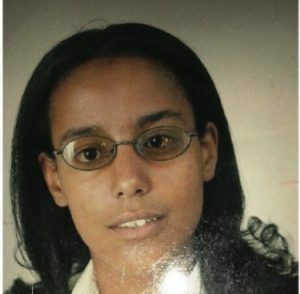 She is being held in Mai Serwa prison which is in Asmara. Previously, she and some of her fellow-prisoners were held in Me’etr where weather conditions were harsh – very, very hot and dusty, lots of sand storms from the desert. It changed them, because they suffered emotionally and they got irritated. But suddenly when they were brought to Mai Serwa, they improved emotionally. Now people can visit them, pray with them, get them food and medicine, they can see family members. This has changed a lot – they are okay. But we have another group of prisoners on the Dahlak Islands [in the Red Sea], about 66 of them are there. A lot of them are mothers with children. One of them has six and the other one I know has nine children. They are not young, they are in their sixties. It’s really sad to see them. I know some of them. Conditions there are very hard and a lot of people die in the prison there. We actually don’t know about their current condition. Is there any news of Patriarch Antonios? Patriarch Antonios is in the same situation – being held under house arrest [since 2006]. He is now almost 92 years old but he is in good health. He is confined to his house, but people go and see him. He is not completely isolated. 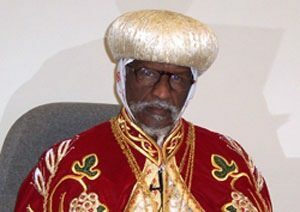 The one who replaced him [as patriarch when the Eritrean government removed Patriarch Antonios from office], has since died. Before he died, he asked for forgiveness from Patriarch Antonios for usurping his position. The government has not sought to appoint a new patriarch. 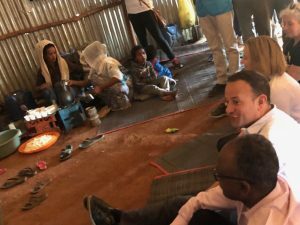 Ireland’s prime minister, Leo Varadkar, was in Ethiopia in early January. He spoke about the fact that the solution to so many refugees in Ethiopia had to be found in making conditions better in Africa and indeed in Eritrea. However it’s not clear if Ireland, and the EU, are insisting on an improvement in the human rights situation in Eritrea. What is your analysis of this? The problem with human rights is President Afewerki. Whenever they [other countries] mention human rights, he shrugs them off, he doesn’t engage with them. So now they want to support Ethiopia, so that if Eritreans flee to Ethiopia, they can stay there. Ethiopia now has a new rule that refugees can now stay indefinitely, work, study, start businesses, buy houses. They can settle. And after a few years they can also have citizenship. I’m really glad that Ireland’s prime minister visited a refugee camp and saw the situation for himself. I have visited there, in Ethiopia, for the past nine years and found that Eritrean refugees are well looked after. Ethiopia is poor, so they cannot have a luxurious life. But in terms of their rights, human rights, I never heard any refugee complaining of abuse. What has Release Eritrea been doing in recent months? Almost 90% of the money [that we receive from partners such as Church in Chains] goes to families and prisoners. And with the rest we also support some ex-prisoners, with establishing themselves outside prison. We also sometimes do training. I go to Ethiopia twice a year to visit the camps and we always see ex-prisoners in there. After they are released some of them leave the country. We support them financially, but we also do discipleship training.